PHOENIX, April 18, 2018 /PRNewswire/ -- In celebration of Earth Day on April 22, Republic Services, Inc. (NYSE: RSG) encourages their employees and the communities they serve across the country to commit to taking their recycling habits to the next level with #1MORE act of environmental responsibility to reduce contamination of the recycling waste stream. Recycling contamination can be anything other than what is intended to be collected and recycled, including unwanted substances such as residual food or liquid that can be harmful to the recycling process. 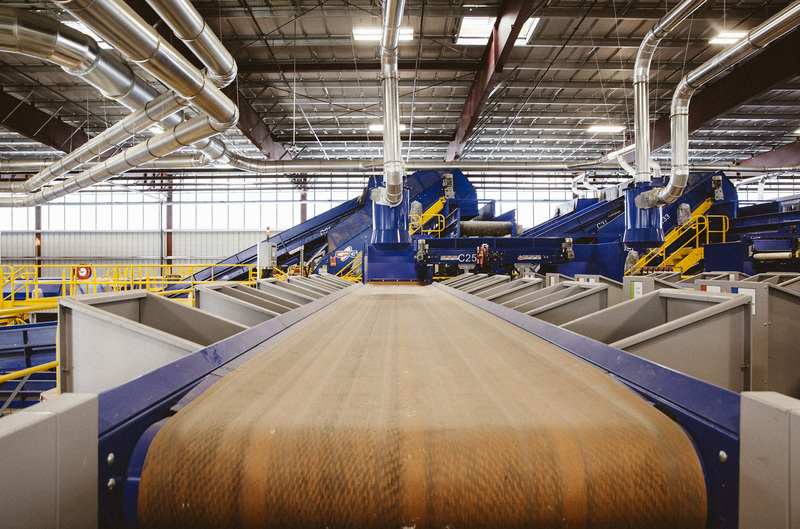 Once a contaminated item comes into contact with other recyclables, the entire batch can potentially become contaminated. 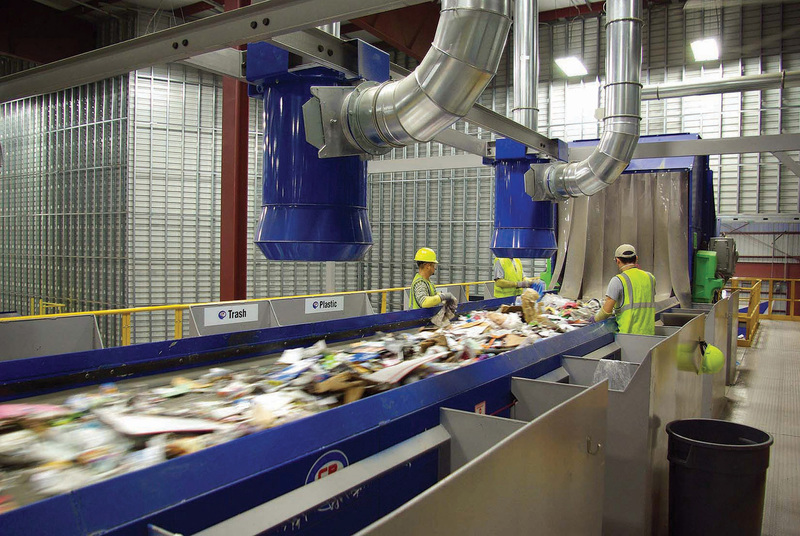 "We all play a critical role in keeping our community recycling programs running properly and helping to reduce contamination," said Pete Keller, vice president of recycling and sustainability. "Many consumers are placing contaminated items into their containers and consequently, many of those recyclables end up in the landfill and not where they were intended. This Earth Day and throughout the year, we encourage everyone to take #1MORE step to help reduce contamination by incorporating four easy tips into your daily routine." Composite packaging, such as cardboard and plastic used together in a 24-pack of bottled water where there is a cardboard bottom and shrink-wrapped plastic, cannot be recycled unless they are separated before placing in the recycling container. Make sure recyclables are empty of any contents, clean of any residue and dry before placing them into the recycling container. Many consumers put items into the recycling container hoping that they are recyclable. Despite these good intentions, some items should not be mixed in with clean recyclables. 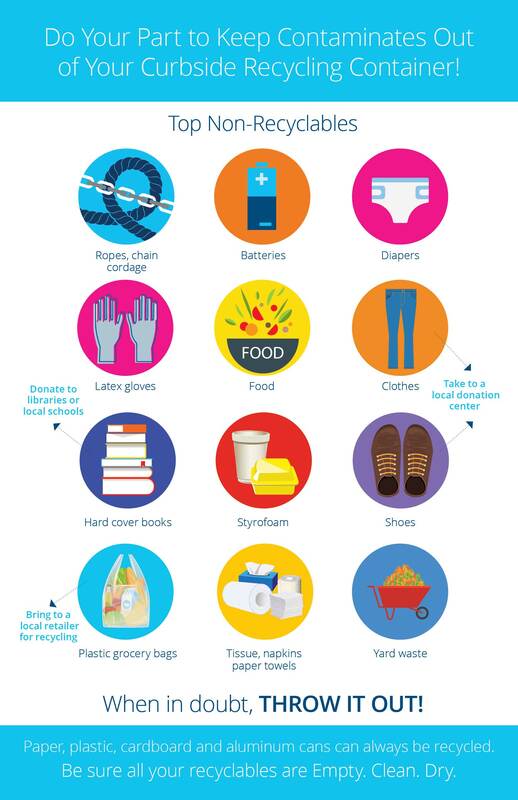 If questioning whether something is recyclable or not, follow the guidance, "When in doubt, throw it out," by tossing the items into the trash container. Electronic devices and equipment as well as batteries, fluorescent bulbs and ballasts are hazardous materials that must be handled differently than other household waste and recyclables. 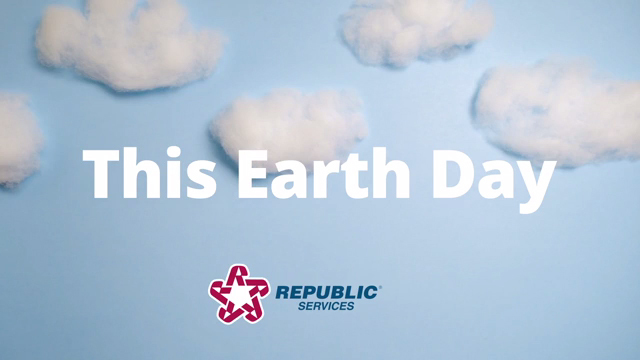 For business customers, Republic offers programs to recycle electronics securely and responsibly, and to safely dispose of batteries, bulbs and ballasts. 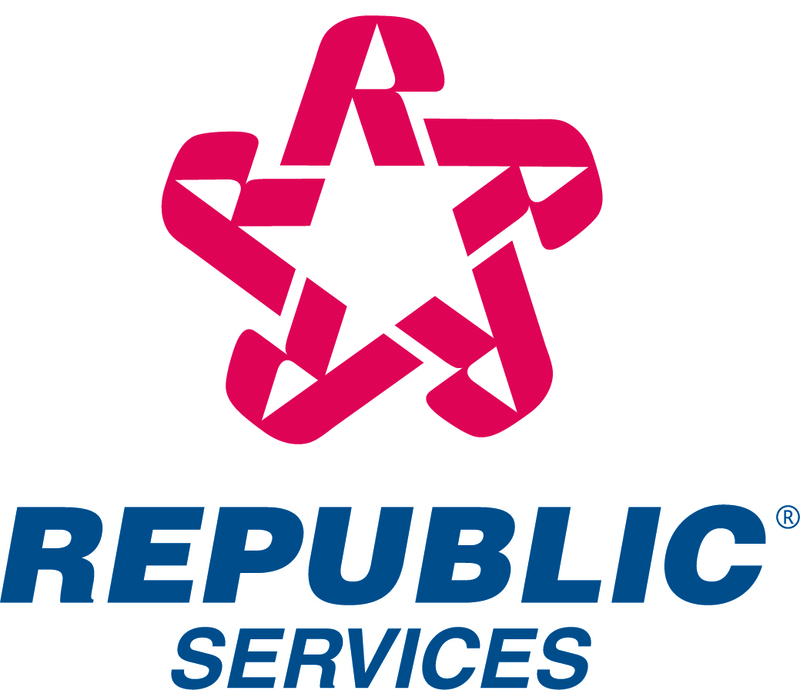 Republic continues to steadily build upon its industry-leading sustainability platform while earning notable recognition for sustainability and corporate responsibility achievements, as demonstrated by being named to the Forbes America's Best Large Employers 2017 list and inclusion in both the Dow Jones Sustainability – North America and World – Indices. Republic was also awarded the Gold Class Award in the 2018 RobecoSAM's Sustainability Yearbook and earned the Carbon Disclosure Project's (CDP) Global Climate Management Level and the Supplier Climate Management Level distinctions. In addition, Glassdoor honored the Company with the Employees' Choice Award.